We at Sree Jayam Label locted at 94(A) Arugombai Street, Tiruppur, specialize in Manufacturng Multicolour Printed Labels and Woven Labels, with imported machineries. We print textile and garment labels using our Rotary Label Printing Machine, which can print 6 colours on the Front and 2 colours on the Reverse. We can create your label design or we can print your custom design on Satin Tapes, Tafetta Tapes, Cotton Tapes, Twill Tape, Organic Tapes, Elastic Tapes, Polyester Tapes. The cost depends on the number of colours and size of the labels. Minimum Order Quantity : 500 pieces. 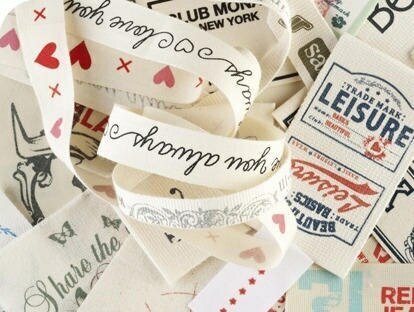 We Manufacturing all kinds Cotton Printed Labels in Multi Colors and Sizes.